So many marvellous and surprising things are found at the bottom of the sea, fish, plants, shells, and some times sunk ships, interesting places for the fish to live. The Elizabethan era, the "golden era" of English history, produced many marvels. One of them is the very attractive black and white half-timbered houses which still survive in many parts of the country. Since they have no foundations, a great amount of tilting and bending of the walls can be observed, but although there are no straight lines in sight, there is something very attractive and organic in these houses. Perfect they are not, beautiful they are. Yaxcaba is a Mayan word which means "Place of green earth". It has been pieced and heavily quilted by hand and machine. 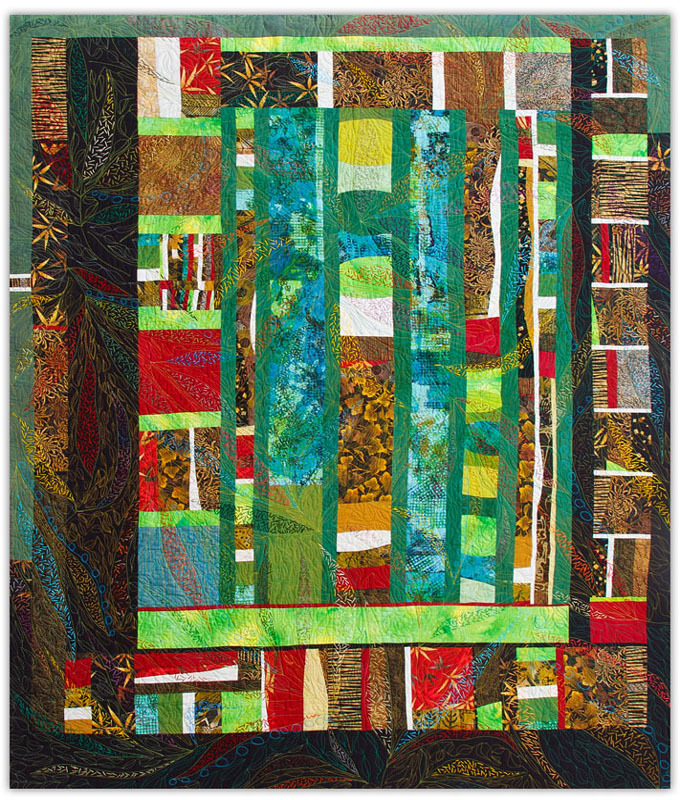 Doors (or Opportunity Knocks) is a quilt inspired by old doors in Mexico City. The doors are surrounded by beautiful marbles, which have all kinds of brown-reddish tones, sometimes with glass beside them.